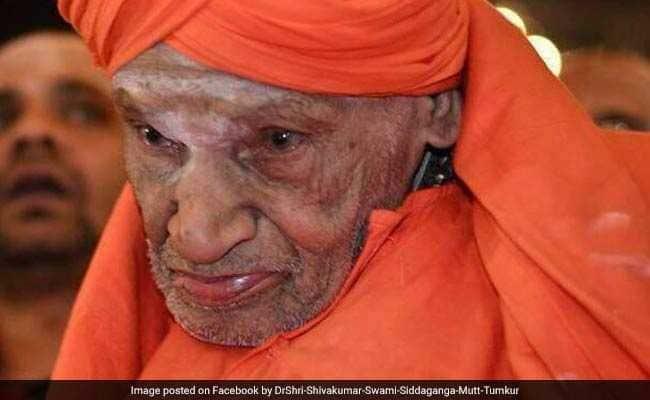 BENGALURU /21/ Jan: Dr Shivakumara Swami, the seer who headed the Sree Siddaganga Mutt in Karnataka's Tumakuru, has died at 111 after weeks of treatment. Shivakumara Swami had been unwell for a while and had been on life support for the past two weeks. Prime Minister Narendra Modi also posted a moving tribute. "His Holiness Dr Sree Sree Sree Sivakumara Swamigalu lived for the people, especially the poor and vulnerable. He devoted himself to alleviating ills like poverty, hunger and social injustice. Prayers and solidarity with his countless devotees spread all across the world," he tweeted. Congress president Rahul Gandhi said the seer's passing had left a "deep spiritual void".